"“The EMG PJ set (in my Spector Euro 4LX) is my main choice. Every time I plug in my bass, I think AWWW YEAH!! There it is! Growl, Tonal Range, Power, nuff said.”"
Nicki Tedesco is a songwriter/singer/bass player from Los Angeles. Genres include: pop, punk, rock, electronic, alternative and metal. Playing both the electric and upright bass, she is endorsed by Spector, Ampeg, EMG and D'Addario. 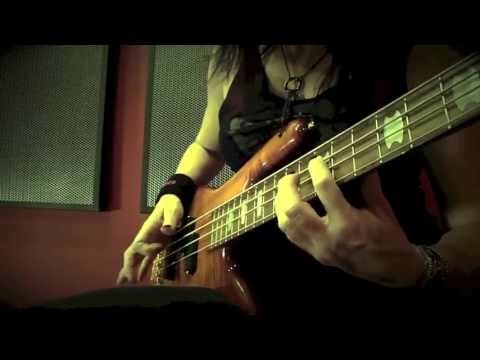 Nicki is known for her bass cover and tone review videos - with over 100,000 views. Having toured and sung with Trance pioneer BT (Brian Transeau) and played with drummer Tim Alexander (Primus), Nicki fronts her own high-energy all-girl power trio; Frantic Ginger. She is a studio owner at The Strands L.A., located in Hollywood, CA, where she writes and releases music for licensing and publishing. Nicki strives to influence the female component of music, inspiring girls to be musicians and songwriters.